While weather is never a sure thing, typically in the Fruita and Moab area at this time of year, you can expect temperatures between 65 and 75 degrees with very little chance of rain. 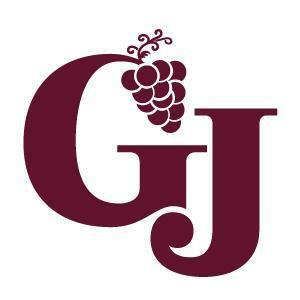 We’re working on hosting our awards at Fruita’s biggest and best party of the year! There will be packet pick-up/registration on Friday evening, as well as Saturday morning at the Start/Finish area. Packet Pick-Up & Late Registration will be at the the Fruita Community Center (324 N Coulson St in Fruita) on Friday from 6:30-8:00p. All racers picking up their packet on Friday night must still check in at the start line no later than 10min prior to the start of the race. Drop bags can be brought to racer check-in the evening before the race and will be brought to the Westwater Aid Station. 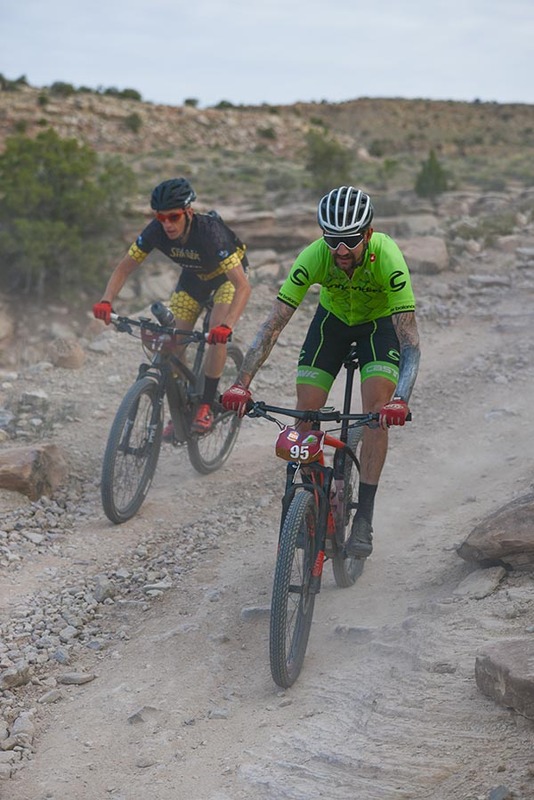 The party for all racers and Awards Ceremony will be at 6:30p on Saturday at Colorado Backcountry Biker, 1150 S Park Square in Fruita. Followed by a party with dinner and microbrews at Civic Center Park! Don’t miss the opportunity to socialize with other racers and win raffle prizes. Customized cowbell awards will be given to the top three male and female finishers in each category. Men’s & Women’s winners of each of distances (100K, 50K) will receive comp entries to next year’s races. Customized dog tag awards will be awarded to all finishers as they cross the finish line. “Gonzo” finisher’s awards will be given to anyone finishing the 100K in less than 6 hours. “Enduro” finisher’s awards will be given to 100K racers completing the course between 6 and 10 hours. All 50K racers will receive a finisher’s award. Placer’s awards will be distributed at the awards ceremony Saturday night. While the weather is never a sure thing, typically in the Fruita and Moab area/s at this time of year, you can expect temperatures between 65-75 degrees with very little chance of rain. 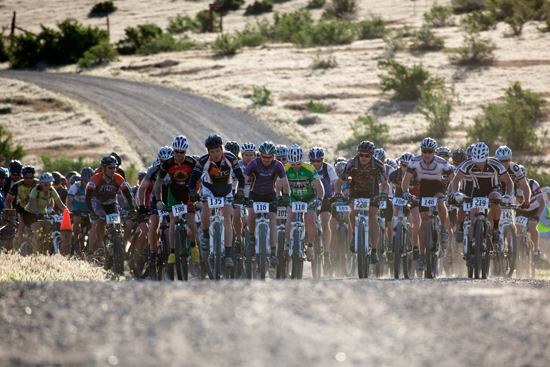 Crews will be allowed at the Westwater Aid Station (parking is only allowed on the west side of the road). Crews will not be allowed at the Zion Curtain Aid Station. While we would love for there to be no drop outs, we understand that it happens. Please be self-aware and acknowledge your body’s needs, as you will most likely be the first to know. 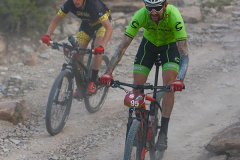 There are a number of ways to cut out sections of the course to get yourself back to the Finish Area and it is always an option to take a break for however long you need within the cut-offs. We will assist with transportation to the finish line if necessary, when vehicles become available. This is not an event where we leave you hanging. Be sure to tell a race official when you drop out; we will be out there until every racer is accounted for. Racers must display their race numbers at all times. 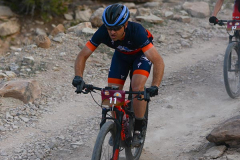 There will be radio contact available with a certified EMT, and each aid station will be stocked with a WFR-standard medical kit containing all necessary materials to nurse any bumps, cuts, bruises, or blisters. Drop bags can be brought to racer check-in the evening before the race. Make sure that the drop bag has your name on it. Drop bags will be transported to the Westwater Aid Station (50K – 16.6mi / 100K – 30.3mi). Note that drop bags will not be returned to the Start/Finish Line until all the racers have been through the turnaround and the Aid Station has been closed. Racers must stay on the designated course. Any racer that goes off the designated course (i.e. shortcutting) will result in a disqualification. In the case of unforeseeable circumstances due to weather or other extenuating circumstances that prevents the safe continuation of the race, race officials may end the race at any given time. This rule will be implemented in the most extreme cases for the safety of the racers or officials. 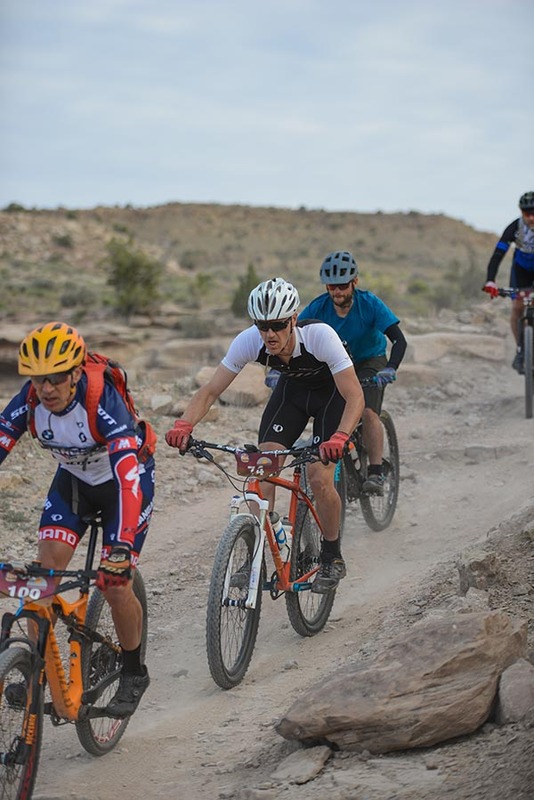 This event is run on the world famous Kokopelli and classic Zion Curtain trails. This section has a wonderful mix of technical singletrack trail, big climbs and heinous descents, and even some jeep roads. This is an out and back course with a total of 5 aid stations for the 100K and 3 aid stations for the 50K. 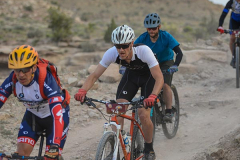 Food and drink may be supplied to any racer, by anyone at the Westwater Aid Station. A strict Leave No Trace policy will be implemented. Race management will supply aid stations with water, sports drink, energy gels, and trash receptacles along the course. 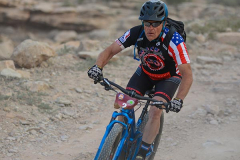 Aid stations will NOT have aspirin, ibuprofen or other NSAIDs. Racers will be supplied with water, Tailwind, Skittles, potato chips, peanut butter and jelly rolls, Coke, oranges, bananas, cookies, gels, sports drink and E-caps. Crew will be allowed at this aid station. There will be toilet facilities and water, Tailwind, Skittles, bananas, gels, sports drink and E-caps. Racers will be supplied with water, Tailwind, Skittles, potato chips, peanut butter and jelly rolls, Coke, oranges, bananas, cookies, gels, sports drink, and E-caps. There will be toilet facilities and water, Skittles, bananas, Hammer Gel, Heed, Tailwind, Honey Stinger and E-caps. Start to Zion Curtain Aid Station #1 (10.6mi) – Rolling terrain with some deep sand, rolling hills and the occasional rock garden. Zion Curtain Aid #2 (24.3mi) – Right out of the Aid Station you will begin a steep loose climb. The challenge will be topping out without dismounting. I DON’T BELIEVE IT CAN BE DONE! Zion Curtain to Westwater Aid Station Turnaround (30.3mi) – This section starts with a short (maybe rideable) climb where you will gain over 400′ in just over a half mile. After a short easy section to catch your breath you will begin the technical ledgey descent off the mesa. Westwater Aid Station Turnaround to Zion Curtain Aid Station #3 (36.3mi) – The ledgey technical ascent will give way to to a nice flowy trail right before you drop down the steep half mile descent to the Zion Curtain Aid Station. 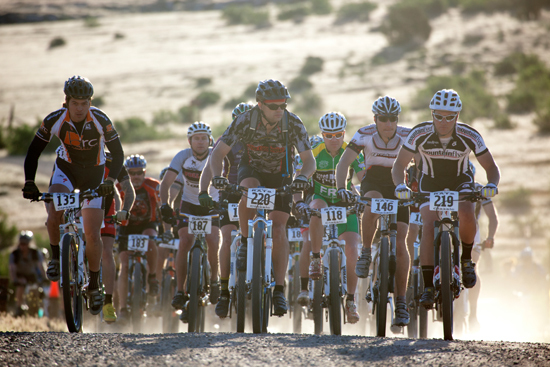 You will need to keep your bike under control as there may be riders coming up that same section of trail. 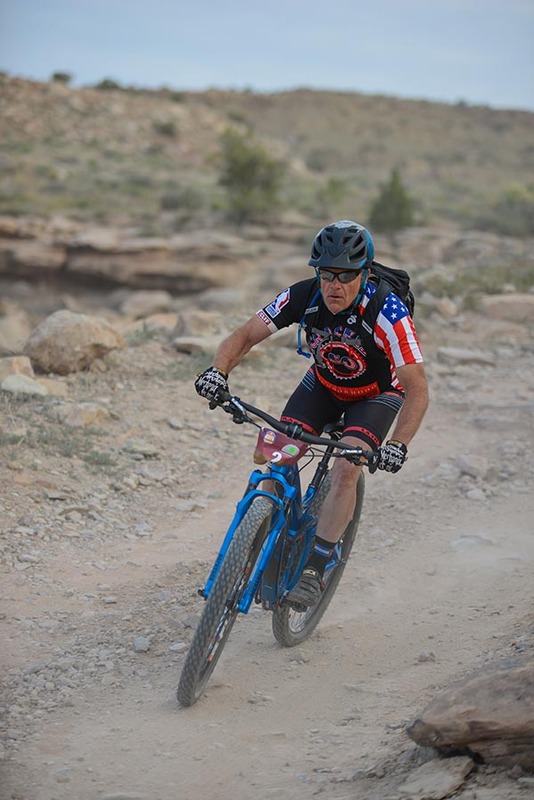 Zion Curtain Aid Station #4 (50.0mi) to Finish – You will ride this loop in reverse with the flat section at the start. This is a strenuous section with a steep treacherous section (most will have to dismount) at the start of the descent to end the loop. Zion Curtain to Westwater Aid Station Turnaround (16.6mi) – This section starts with a short (maybe rideable) climb where you will gain over 400′ in just over a half mile. After a short easy section to catch your breath you will begin the technical ledgey descent off the mesa. Westwater Aid Station Turnaround to Zion Curtain Aid Station #3 (22.6mi) – The ledgey technical ascent will give way to to a nice flowy trail right before you drop down the steep half mile descent to the Zion Curtain aid station. 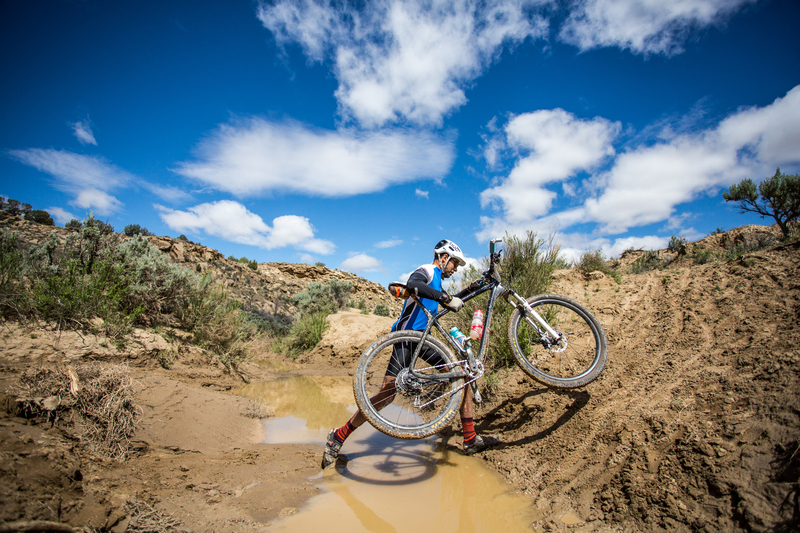 You will need to keep your bike under control as there may be riders coming up that same section of trail. 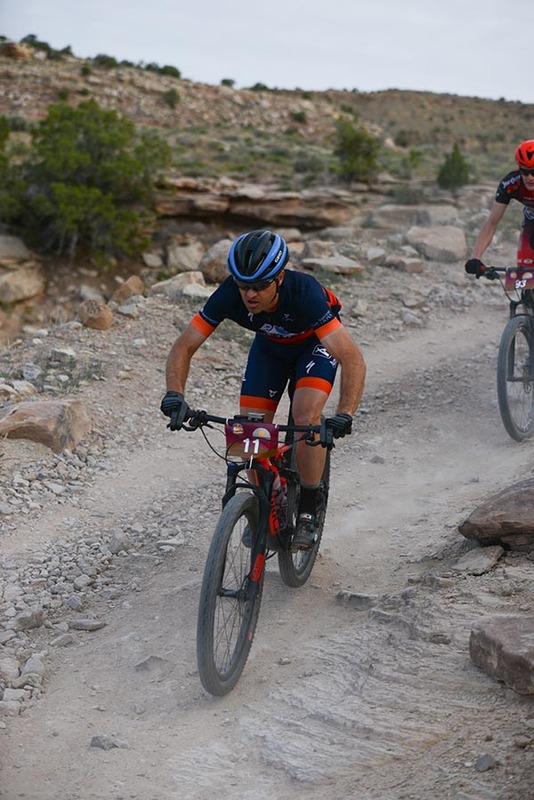 Zion Curtain to Finish – The challenge isn’t over until you ride the last 10.6mi of rolling hills and rocky terrain back to the finish line. Follow I-70 Westbound into Utah. Drive South for about 4 miles to intersection with the Kokopelli Trail. Aid Station will be on the left. Park along the road or as otherwise directed.